The successful US drone strike against al-Qaeda’s deputy in Syria on February 28 was a rare victory for Washington in its war against the extremist group. 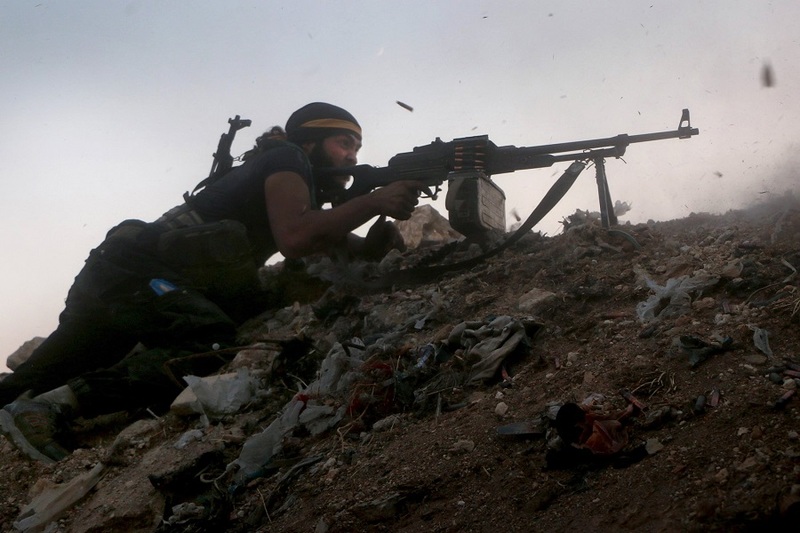 US policy in Syria has largely failed to combat the growing strength of al-Qaeda. A series of foreign policy mistakes enabled the formation of an al-Qaeda-linked group that now dominates the Syrian opposition. Its rise was not only facilitated by Washington’s lack of action, but also through the mishandling of US weapons and aid that al-Qaeda exploited to bolster their position. Realising the threat of al-Qaeda in the last days of his administration, President Obama began a bombing campaign against its Syrian branch and associated groups. However, this was too little too late. The offshoot now exerts unmatched influence in the Sunni opposition and has solidified its authority in the war-torn country. Defeating it will prove a challenging task. In August 2011, al-Qaeda’s leader in Iraq sent his protégé Abu Mohammad al-Julani to take over the Syrian al-Qaeda branch – Jabhat al-Nusra. When ISIS and al-Qaeda split in February 2014, Julani pledged allegiance to al-Qaeda central. 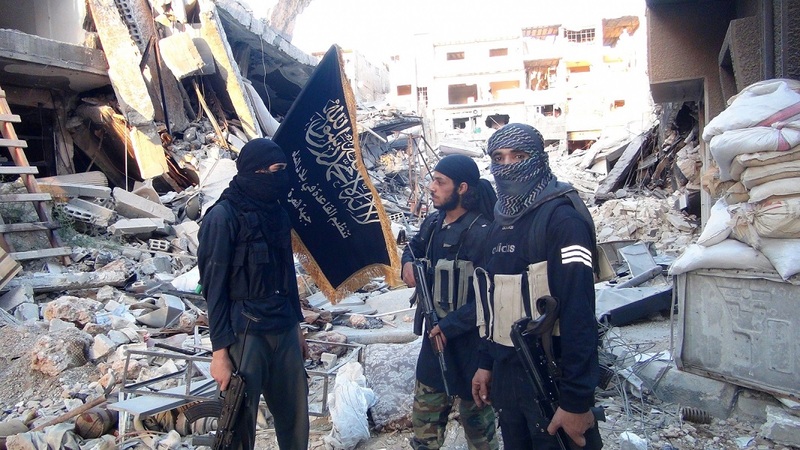 By 2016, al-Nusra had established itself as a formidable fighting force in Syria. But its connection to al-Qaeda stifled international and domestic support. This prompted al-Nusra to change its name to Jabhat Fath al-Sham (JFS) in July 2016, seemingly distancing itself from al-Qaeda central. However, JFS retained the same domestic leadership and ideology – al-Nusra’s rebranding was a change in name alone. The connection between JFS and al-Qaeda remained strong despite being less publicised, and few countries, including the US, took the supposed split at face value. On January 28 this year, JFS – still plagued by the same problems – changed its name once again to Hay’at Tahrir al Sham (HTS). HTS is structured differently to JFS and incorporates five other influential militias. It is not led by Julani but by Abu Jaber, a prominent member of the second most powerful Sunni militia, Ahrar al-Sham. Jaber’s defection to HTS was followed by another half dozen defections from the top brass of Ahrar al-Sham as well as some 1000 fighters. HTS is still dominated by JFS and it maintains ties to al-Qaeda. Julani is in command of military operations and has not renounced his allegiance to al-Qaeda. Abu Jaber was a member of al-Qaeda in Iraq and in 2011 he joined a militia in alliance with al-Nusra, before forming Ahrar al-Sham. HTS has also attracted support from Saudi cleric Abdullah al-Muhaysini, who had US sanctions placed on him over ties to al-Qaeda. The creation of HTS has had immediate success. The newly formed group controls the largest opposition militia in Syria after the Syrian Kurds and ISIS. The inclusion of small local militias helps HTS present itself as a domestic force. Sympathetic militias in Saudi Arabia and Morocco offer international support, which has translated to aid from these countries. The creation of the HTS also gutted Syria’s second most powerful Sunni militia, giving the new group near unchallenged control over the Idlib region, the last major theatre of operations for non-ISIS jihadist groups. The US has been unable to combat this group, now considered al-Qaeda’s biggest affiliate. In focusing their efforts on combating ISIS and opposing Assad, the US has failed to tackle the al-Qaeda presence that has thrived in Syria. What attention the US does give to combating al-Qaeda is hampered due to the sheer number of shifting alliances, coalitions and militias in the opposition. This climate muddies the waters, making it hard to figure out where support for any one group will end up. The lack of a robust ‘moderate’ opposition in Syria has meant US aid often indirectly falls into the hands of al-Qaeda. In 2015, the Pentagon began a three-year project to spend some $500 million training moderate Syrian fighters. Almost immediately, the first batch of US-trained soldiers were captured by al-Nusra. The second group of fighters gave up half of their armoured trucks and ammunition to al-Nusra to secure passage across the Syrian border. US supplied weapons have also been given willingly to al-Nusra by groups previously supported by Washington. One prominent member of the HTS coalition is Nour al-din al-Zenki. In 2014, the US government vetted this group and provided it with BGM-71 TOW anti-tank missiles, along with small arms and monthly salaries for its fighters. Though the US quickly terminated its support, al-Zenki and the al-Qaeda offshoot are now working together in HTS, using US-supplied heavy weapons and funding. Finally, the US has been unable to prevent allied nations from supporting groups affiliated with al-Qaeda. Though direct support has been limited, allies like Qatar have found alternative means; in 2013, the state donated $600,000 to a charity run by Abd al-Nu’aymi, who passed it on to al-Qaeda in Syria. Saudi Arabia, Turkey and Qatar have also provided funding and weapons to groups that are now part of HTS and work with al-Qaeda. While the West’s next objective in Syria will be the recapture of the ISIS-controlled city of Raqqa, the Assad regime will be looking towards HTS’ stronghold in Idlib province. HTS would not be able to defeat a Russian-backed Assad attack. 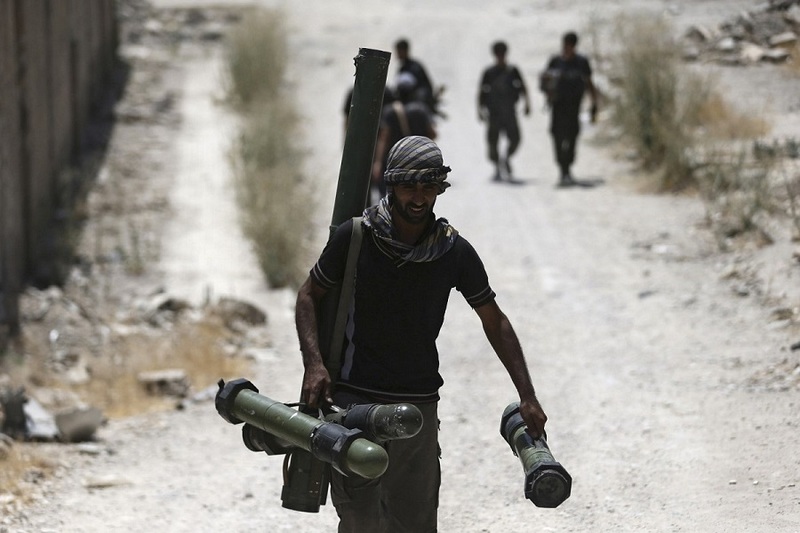 While weapons such as US-made TOW missiles pose a threat to Russia and Assad’s air force, the interplay between ground troops and air support has seen success for Assad in the past, most notably in Aleppo. HTS would not be able to match the regime in this form of conventional warfare. However, if Assad takes Idlib, HTS may devolve into an insurgent force. Such an environment would favour al-Qaeda, who have a long experience of waging irregular warfare. They will also benefit from continual support from the Gulf Arab states and Turkey, the latter of which has drastically increased funding to jihadist militias in northern Syria as part of their own operations. The dominance of HTS also makes it an attractive organisation for jihadists leaving ISIS and smaller militias. Al-Qaeda now has access to a network of international support, a stockpile of weapons and a source of battle hardened soldiers. An emboldened al-Qaeda is not just a Syrian issue, but a global one.